Farm equipment is widely used throughout Indiana. This equipment often needs to be transported on public roadways where it shares space with cars and trucks. Agricultural vehicles, including slow moving farm equipment, represent .2 percent of the total number of vehicles that are involved in crashes. In 2006, there were 87 fatal crashes involving farm equipment. There is no available information to provide an accurate picture of the injuries, property loss and death associated with car accidents involving agricultural machinery or with horse drawn buggies. Crashes between motor vehicles and farm equipment usually occur in rural areas and typically involve high-speed motor vehicles colliding with slow-moving crashes. When a crash involves a farm vehicle, the occupant of the farm vehicle is killed twice as often as occupants in the other vehicle. These statistics indicate that there is a real danger associated with crashes involving slow moving farm equipment and other vehicles on the roads. Unfortunately, the Committee’s report also indicated that there is little attention paid to the issue of how to safely move agricultural equipment on public roadways. As in so many accident and injury cases, statistics don’t always tell the whole story. To get a broader picture of the devastation that can occur as a result of an accident involving farm equipment, consider the recent tragic accident in a rural area of Indiana. The accident, as reported by the New York Daily News, involved a John Deere crashing into a mini-van and decimating the van, which became caught in the blades. Three of the passengers in the mini van were killed and the other three passengers in the van were hurt badly. The driver of the farm equipment in this case is accused of causing the accident after running a stop sign. He claims he did not see the mini van approaching. He suffered no injury and, although he was tested for alcohol in his blood stream because Indiana law requires such a test after a fatal crash, the Daily News article indicated that there was no reason to suspect that drugs or alcohol were involved in the crash. 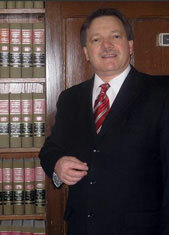 Attorney Burton A. Padove represents car accident victims. If you or someone you love has been injured in an accident, call (219) 836 2200 for a free and confidential consultation to discuss your rights. Agricultural Equipment on Public Roads,The Committee on Agricultural Safety and Health Research and Extension, February, 2009.